Fifty years ago, the Willys-Overland car company of Toledo, Ohio, delivered two boxy little four-wheel-drive vehicles to the Army at Camp Holabird near Baltimore. It carried Allied fighting soldiers almost everywhere during World War II. Since then, it has continued to conquer world terrain. The wonderfully refined Cherokee, a far cry from those early “reconnaissance vehicles,” is now the “star of the show” as Jeep celebrates its 50th anniversary this model year. 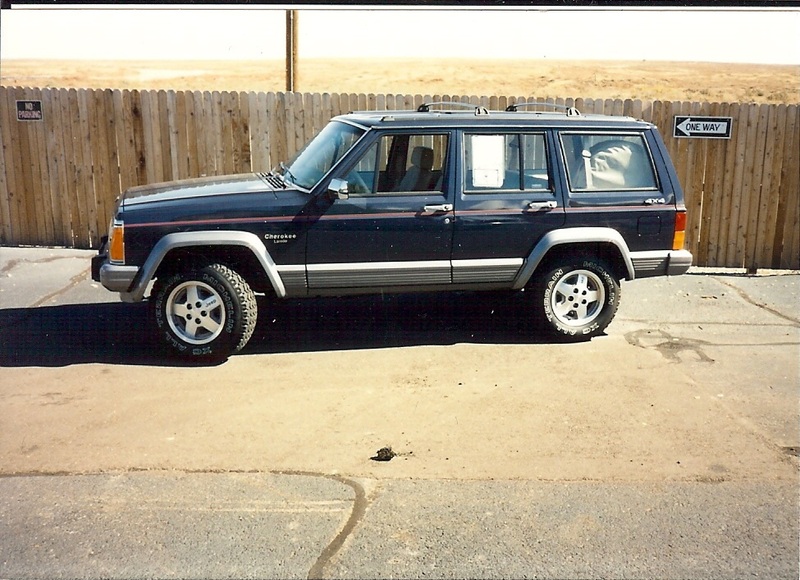 I joined the spirit of the celebration with a test of the 1991 Cherokee Laredo four-door. For ’91, it has a stronger powerplant. Horsepower has been increased to 190 in the 4.0-liter Power-Tech Six engine. The Cherokee’s a climber. 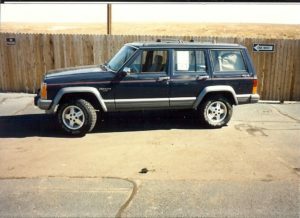 Joel Martinez of Pueblo’s Vidmar Jeep, which provided the vehicle for the test, likens the 4.0-liter to American Motors’ 258-CID engine of a few years ago. That was one of the best. It compared favorably on several occasions to Chrysler’s more renowned Slant Six and Ford’s more powerful 300-CID 6-cylinder truck engine. The ’91 engine is deceptively quick; smooth enough and quiet enough to seem like a gradual gainer, but punch it a bit, cast a glance at the tach and speedometer, and you’ll know you’re moving out with the quicker ones of this type. I’m certain it will go from stop to 50 in under 10 seconds. It’s a strong tower, too (that’s tow as in tug). It will pull trailer weight of up to 5,000 pounds. Jeep’s “shift-on-the-fly” full-time four-wheel-drive system is an added bonus to the mix of the strong engine and smooth-shifting automatic transmission. Driving 215 miles, divided equally between stop-and-go city drives and a climb to Westcliffe, resulted in fuel mileage check of 19.7 mpg. The seats in the Cherokee sit high and vision is excellent. These are features noticed quickly and much appreciated by my 5-foot-2 traveling companion. As a fresh-air lover, I dislike the permanently closed vent windows. And, why not put the cigarette lighter in the ash tray? It sits right out with the rear wiper and washer controls, the heater-air conditioner controls and the radio. Base price of the Laredo is $16,144. Added options of the 4-liter engine, automatic transmission ($877), power seats ($416), air conditioning, cruise control, power windows and locks, keyless entry and AM/FM cassette stereo radio pushed the sticker price to $22,580, including destination charge of $465.